Many paleontologists thought the reason the dinosaurs became extinct was that the big, unwieldy reptiles were out competed by small, nippy mammals that ate their eggs and generally ran rings around them. This quasi-anthropocentric view, of the unavoidable rise of humanity’s ancestors, took a thump when closer examination showed that dinosaurs, too, were often dexterous and warm-blooded. Then it was found that the extermination was an accident, caused when an asteroid hit the Earth. Until that moment, the dinosaurs had reigned supreme and mammals were just an afterthought. An Analysis by Edward Simpson and his colleagues of Kutztown University in Pennsylvania indicates that the relationship between dinosaurs and mammals was actually that of a diner to his lunch. Fossil teeth, and the occasional skeleton, show that small mammals were common at this time. That they should have lived in burrows is no surprise. But animals dig burrows for protection. The question is from what was this protection sought?.They analyzed the scrapings they realized that their shape suggested they had been made by the claws of predatory, feathered dinosaurs related to a well-known species called Velociraptors. 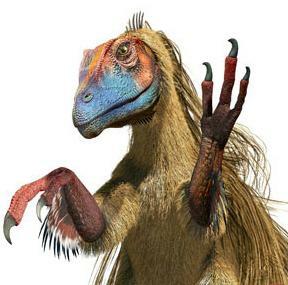 The claws of Velociraptors and its relations had up till now been regarded as weapons to be deployed against beasts of the aggressor’s own size—either other Velociraptors. It is possible that the dinosaurs’ intentions were to build nests for their eggs, but the researchers argue that this is unlikely because known nests are of a consistent size that does not match that of these diggings.